The HDMI repeater extends the length of any HDMI cable by regenerating the HDMI signal before it outputs to the HDMI monitor or projector. The HDMI repeater will clean out the digital noise (sparkles) in your picture. The input of the HDMI repeater is connected with a long HDMI (male to male) cable from the HDMI device, such as, DVD player or Satellite set top box. 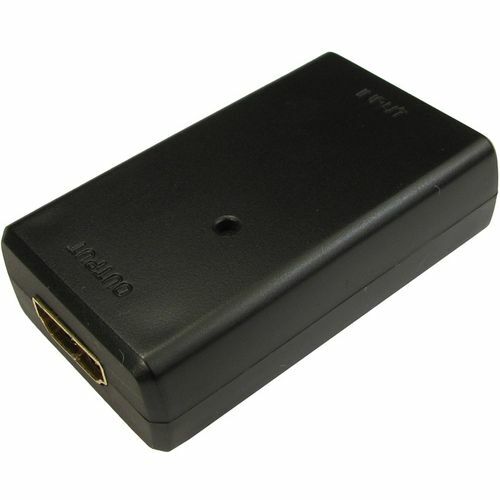 The HDMI repeater output is connected to a second HDMI (male to male) cable to go from the output to any HDMI display or projector with a HDMI connector.